There was a lot happening at the 2014 MTV Video Music Awards, the place where the music industry’s biggest and brightest bring their bizarre fashion game to one of the wildest red carpet’s around. All of the biggest name in music headed to Inglewood, Cali. on August 24 for the 31st annual MTV Video Music Awards. From the snazzy men to the dapper ladies, we have every look on the carpet right here. Who do you think deserves the title of #BestDressed ? 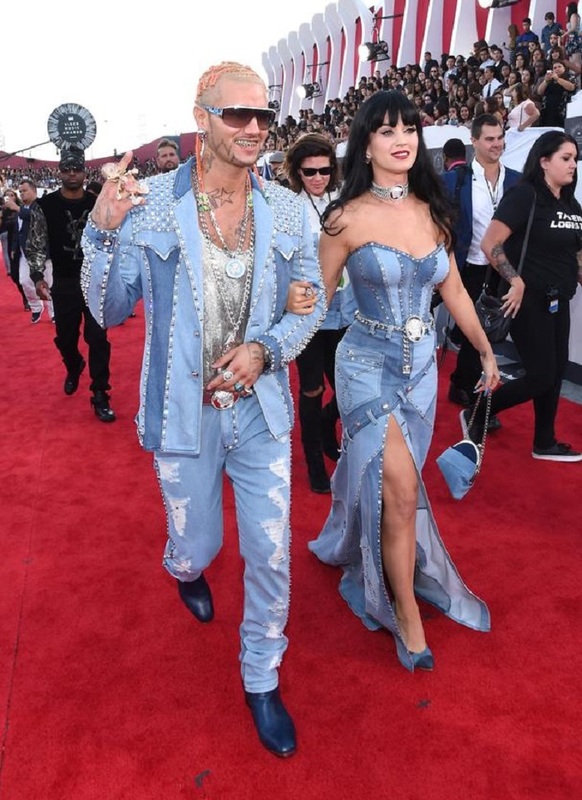 Rapper Riff Raff and singer Katy Perry channel the dynamic denim duo of Justin Timberlake and Britney Spears (circa 2001) in Versace Couture at the 2014 MTV Video Music Awards.